Aloe Vera has been around for a long time, it has been said that Cleopatra had used it on her skin. One of the great benefits of Aloe Vera is its anti-bacterial properties which can help to control acne when applied to the skin, it is also highly moisturizing while still allowing the skin to breathe. 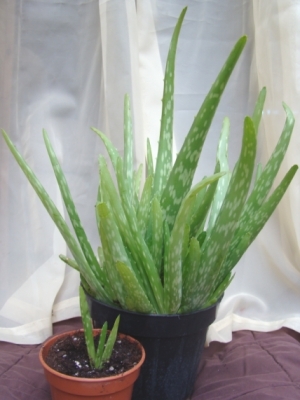 Aloe Vera is extremely easy to grow, just put in a pot by a sunny window, give it water when needed and some natural seaweed plant feed. Once your Aloe is big enough your can harvest your own juice to put on your skin. Botox: What is it, What are its uses, and What are the risks?